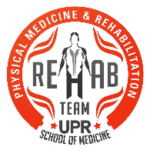 The mission of the Department of Physical Medicine, Rehabilitation and Sports Medicine is to disseminate, apply and increase the knowledge in the field thus contributing to the education of students, residents, faculty and health professionals and helping in the prevention, early diagnosis, opportune treatment, and rehabilitation of the health problems of the community in general. Our mission is to combine, from Physical Medicine, the art and science of the good clinician, teacher and researcher that cares for the body-mind, house of the soul; from Rehabilitation, the commitment to persevere to restore a human being to the optimal functional status; from Sports Medicine, the understanding that health is more than the mere absence of disease, and that sport in its most ample conceptualization is a biopsychosocial phenomenon with the potential to influence health in many ways. Modern medicine presents great challenges of social responsibility. To confront these challenges, an interdisciplinary approach is absolutely necessary. lt is not enough to know basic experimental science nor clinical science. The important thing is to understand the fundamental nature of human processes of interaction and communication, from the most concrete to the most symbolic aspect, from the individual to thecollective. The study of the incidence and prevalence of disease in the general population in Puerto Rico points clearly in one direction: disease is intimately related with our lifestyle. The activities that naturally promote wellbeing have been substituted for those that generate discomfort. Thus, the importance of health promotion, disease prevention, and the primary care level in the delivery of health services. Our commitment is with the patient, his/her family, his/her community. Our commitment is with the use of medical science in a socially responsible way. Our commitment is with physical, mental, social, and spiritual health. Our commitment is with health education and the prevention of disease. 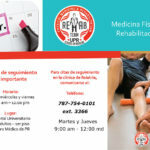 Our commitment is with the rehabilitation of the patient with a disability. Our commitment is with the noblest ideals off air play and sports. Our commitment is our reason to be and exist.